For the period I needed storage and during the time there the staff was great, facility clean and well maintained and good security. The staff assisted in every need and were knowledgeable, friendly and exceptional when I needed small things not in their speciality. I recommend this site to anyone needing secure storage and attentive staff. Very helpful and friendly staff. Very convenient and clean, overall couldn't have had a better experience. If I need storage in the future they will get my business. Diane D has fantastic customer service skills, not only did she answer all my questions she made me feel very comfortable and assured me that my belongings will be safe and secure. I hope that your company recognizes that she is an excellent worker. I will definitely recommend this facility to others. Superb customer service from a very pleasant and accommodating front office. The personnel at Langley have really made a positive difference to our storage experience over the past year. I have been renting a unit for a number of years now and found the staff very friendly and helpful. Security is top notch and premises are clean. 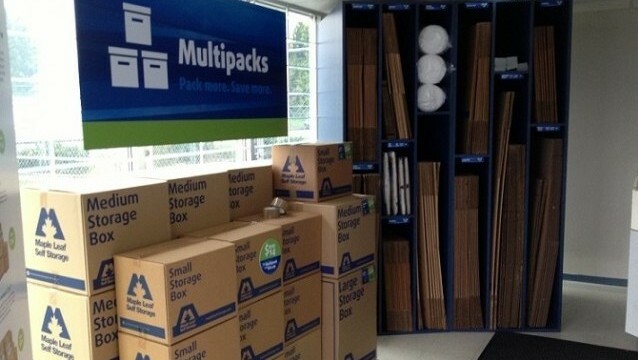 We have been very happy with the service provided by Maple Leaf Storage. 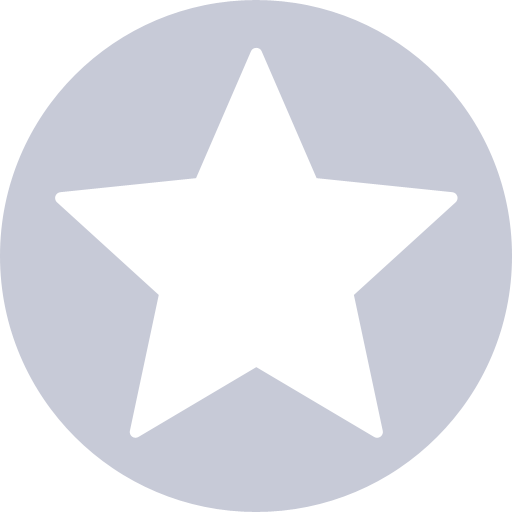 Their security is top notch and staff is accessible and friendly. Just a great place to store things. 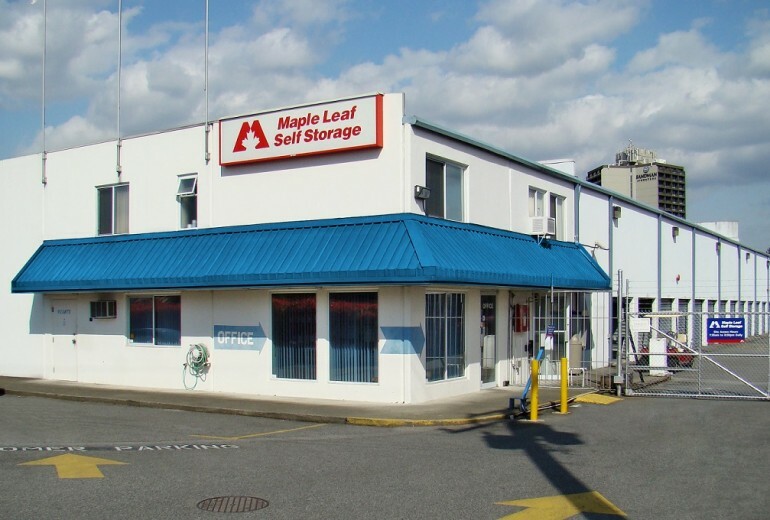 Maple leaf self storage is a great place. I feel great about storing my belongings there. The staff is great and very helpful. I would recommend this place for storage. 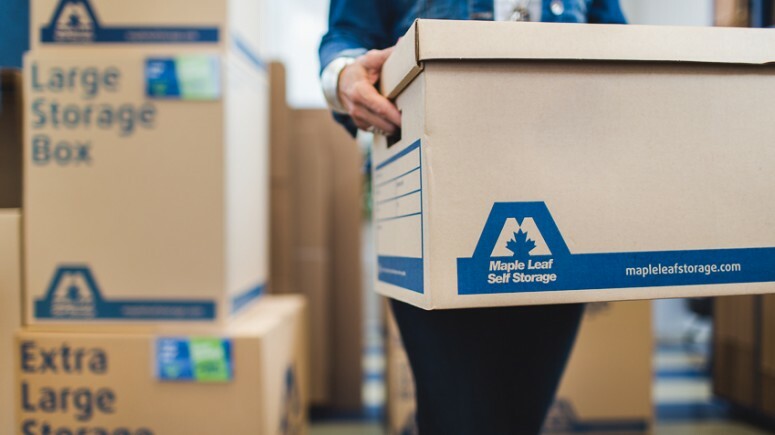 I’m happy storing my belongings at Maple Leaf Storage. The staff are friendly and helpful, and my unit is roomy and accessible. Great storage place. Nice people Jim from Buddy With a Truck! The lady that helped us was very sweet and answered all our questions...we will definitely refer our friends ? 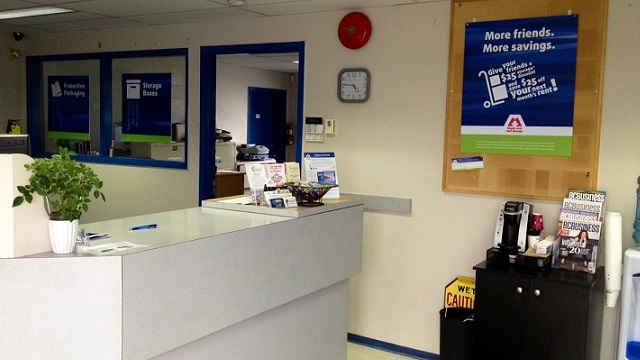 I have thoroughly enjoyed the service given to me by Maple Leaf Self Storage. I would not hesitate to highly recommend them to my friends. Friendly staff, easy access... no pressure. The service has been very good and is friendly and accommodating. The pricing recently went up with little advance notice to a point on the higher side of local competition, but the premises are clean and secure. The lack of direct debit or automated billing is the only point of complaint I would have. Having to pay the same bill every month through a glitchy online system and then in person when it doesn't work is inconvenient and should not be in today's business technology. I've been renting a storage unit here for the past year and have had nothing but a positive experience. The desk staff are SO pleasant and accommodating, and I've never had an issue. My 10x10 unit fits all of the furniture from my old studio apartment, and I never worry about its security. Once when I was late by a couple of days re payment over the Holidays, they wrote to me in a friendly manner. I have recommended this site to others not because it is cheaper, but because of the staff and the site is well managed. I am happy we chose this site over others that we were considering last summer. 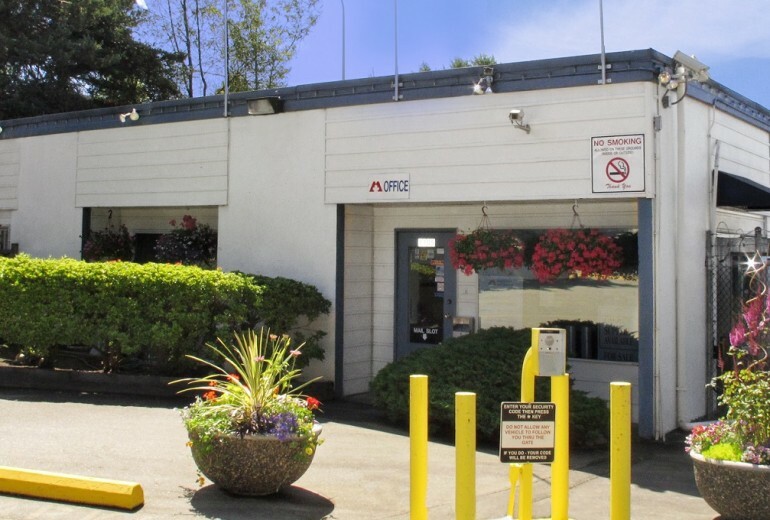 With a secure, clean and dry facility, Maple Leaf Self Storage in Langley exceeds all of your expectations for off-site storage. Unlike your attic or basement, our well-lit, extra-wide corridors have 10-foot ceilings and tons of room to move. It’s only one storey, so you don’t have to deal with stairs or elevators. Your home or office may feel safe, but it probably doesn’t have 24-hour video monitoring and an on-site resident manager. It may sound like overkill, but security is our top priority. When you rent a climate-controlled interior unit, you won’t have to worry about bundling up when accessing your belongings on a cold or rainy day. Each locker has extra-wide, galvanized steel doors for total protection and comfort. 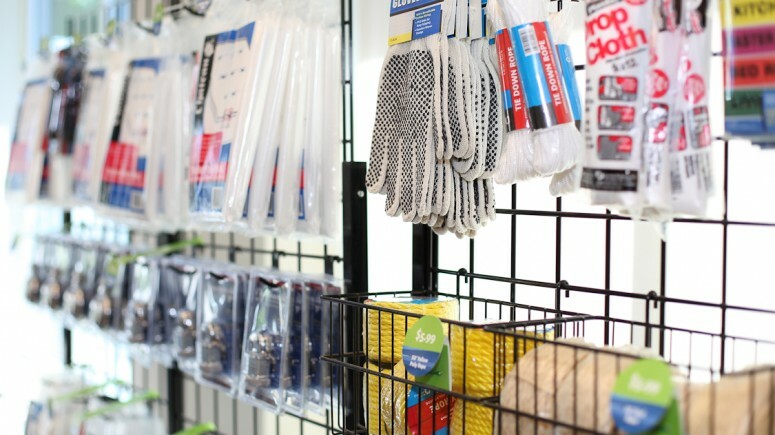 And if you need space for something big, you’ll have a vehicle, boat, and RV storage at your fingertips. You can access our drive-up units from wide drive corridors that can accommodate a large truck. 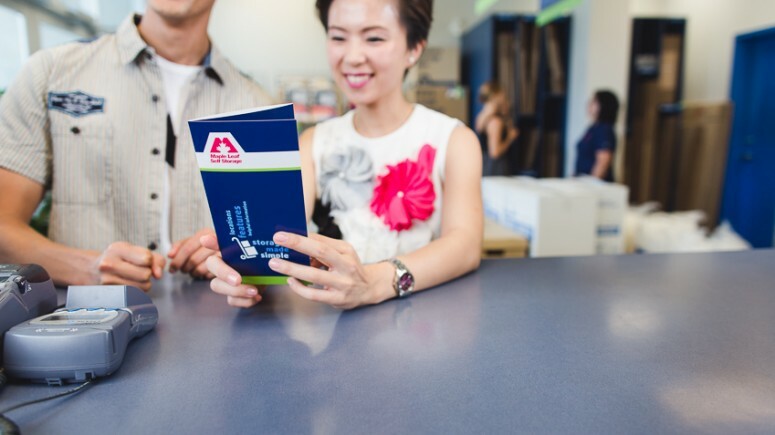 When you drop by our Langley location, you’ll meet our team of customer service experts who can answer your questions, lend you moving carts, and make sure you’re happy. *Offer is available on selected units, subject to availability. Available at the Langley location. Subsequent storage periods will be subject to re-quoting. If customer moves out during the first month, no discount will apply. Offer has no cash value. Cannot be combined with any other storage offer other than Multipack Box Deals.